To mark today's International Day Against Homophobia, Human Rights Watch has posted its top four global villains in the battle for LGBT rights. Among those named is Pat Robertson's ACLJ, which has been exporting anti-gay hate across the globe. 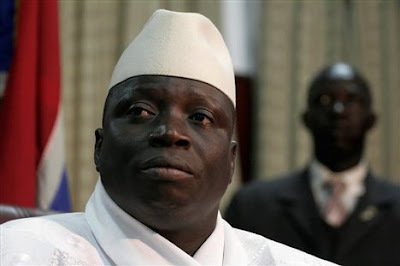 The American Center for Law and Justice; President Yahya Jammeh of Gambia; Vadym Kolesnichenko, a member of Ukraine’s parliament; and the Ukrainian political party Svoboda are undermining human rights by actively promoting homophobic policies, Human Rights Watch said. The 2013 Human Rights Watch “Hall of Shame” inductees were selected for endangering the lives and dignity of LGBT people in 2013. They strongly contributed to a homophobic and transphobic environment during the past year, Human Rights Watch said. 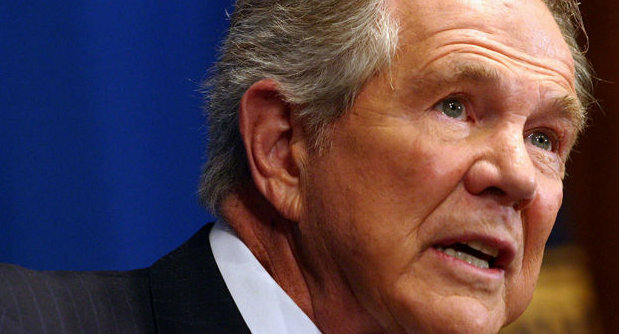 Here's what they say about Pat Robertson's group. The American Center for Law and Justice (ACLJ), for attempting to export homophobia to Africa. Founded in 1990 by the Baptist Minister and televangelist Pat Robertson, and headed by Jay Sekulow, its chief counsel, the ACLJ strongly opposes LGBT equality and reproductive rights in the United States and across the globe. It works through offshoot organizations such as the East African Centre for Law and Justice (EACLJ) in Kenya, the African Centre for Law and Justice (ACLJ) in Zimbabwe, and the Brazilian Center for Law and Justice (BCLJ) in Brazil. The EACLJ unsuccessfully lobbied against Kenya’s progressive new constitution in 2010 solely on the basis that the constitution’s anti-discrimination clause could eventually be used to advance LGBT equality and that it allows for abortion when the mother’s health is at stake. My most recent posts about the ACLJ are here.